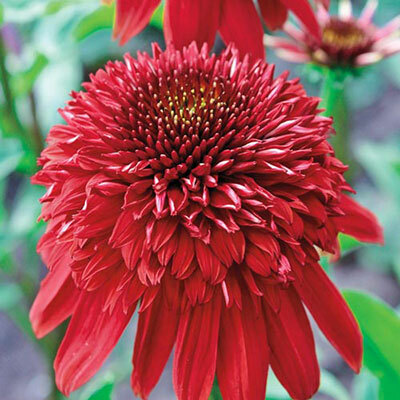 Large, up to 6", flowers and gorgeous red color with hints of purple make this echinacea a standout in the garden. 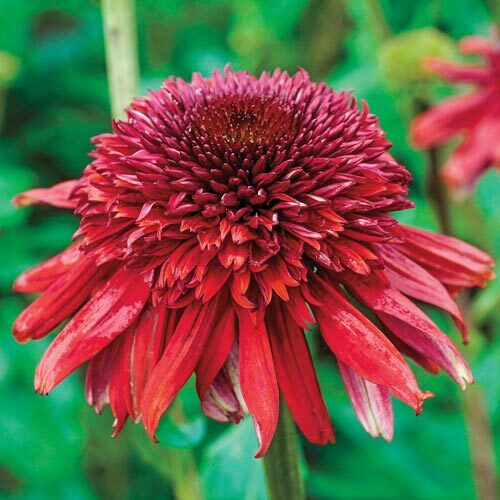 Flowers open on sturdy stems and fade to a pretty orangered hues when they mature. 4-6" daisy-like with prominent stiff cone center. Leaves are alternate, simple, toothed and hairy. Mid green and rough in texture. 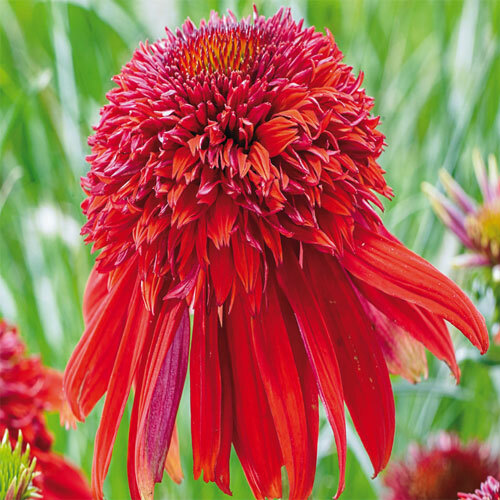 Dig a hole deep enough to accommodate the roots without bending them. Roots should be just below the soil surface with the crown at the soil level. 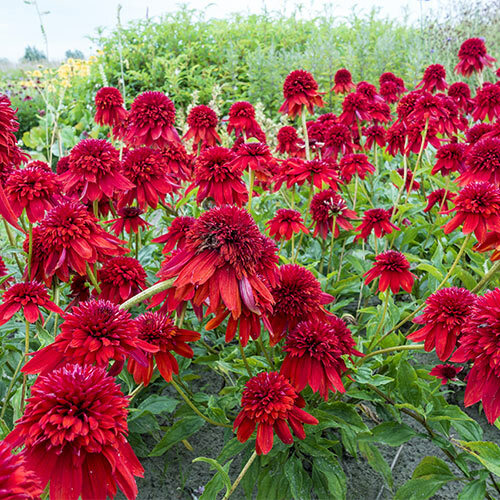 Remove spent flower stems to encourage repeat blooming. Top of plant should be even with soil level or slightly above. Average to low water need.